WASHINGTON — As they left for summer recess, congressional lawmakers approved new legislation making it easier for WWII veterans exposed to mustard gas to receive medical and disability benefits. Now, as those elected officials return from break next week, advocates are hoping they’ll take up similar legislation for Vietnam veterans exposed to Agent Orange during their tours in the waters of southeast Asia. For troops who served on the ground or in inland rivers, exposure to the chemical defoliant is presumed, speeding the medical and disability benefits process for veterans who later contract a host of illnesses related to contamination. 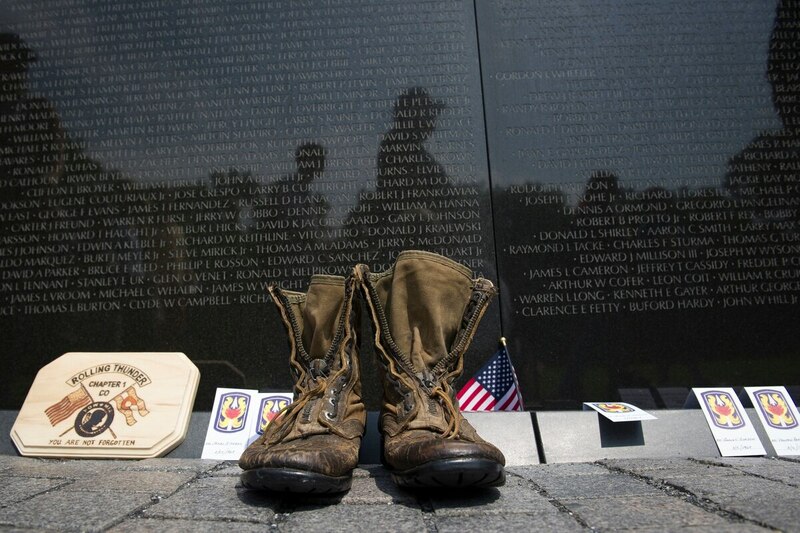 But the blue water veterans still must prove they were directly exposed to Agent Orange for their illnesses to be labeled as service-connected. AUSN estimates that nearly 90,000 veterans served in those areas, where the chemical sprays steadily worked into their drinking water and air. “Now these guys are in their 60s, and many had to leave the workforce early because of their illnesses,” said John Wells, executive director of Military-Veterans Advocacy and a longtime activist on the blue water veterans issue. “They don’t have a nest egg, a lot of them are just hanging on by their fingernails. In August, senators finalized legislation forcing VA officials to reconsider hundreds of cases of veterans involved in testing the effects of mustard gas and the blister agent lewisite at the end of World War II. Previously, their health claims had been denied because of a lack of hard evidence, but the new rules assume exposure for veterans who served at sites where testing was known to have occurred. Similarly, Little said the blue water veterans’ claims are routinely denied by VA because most cannot prove a direct link to the chemical. In one case, veterans on a ship anchored between a small island and the Vietnam mainland have been denied because of uncertainty involving exposure, even though ground troops on either side were awarded benefits. Lawmakers have offered support for a legislative fix in recent years, and 299 are co-sponsoring a House bill to restore benefits for the group. But congressional leaders won’t let the measure move ahead without a cost offset. And that has been the stumbling block for advocates. While the change in the mustard gas benefits provision is expected to cost about $9 million over the next decade, the Agent Orange measure is estimated at $1.1 billion in the next ten years. If the courts force a change — there are several lawsuits pending on the issue — then the treasury would be required to cover the spending without having to find a federal funding offset. The same would happen if the VA secretary opts to make the change on his own. In May, VA Secretary David Shulkin hinted at that possible update of department rules during testimony before a House appropriations panel. But since then, the issue has stalled again. Tom Snee, national executive director for the Fleet Reserve Association and a blue water veteran himself, said he’s still hopeful a fix can come soon. He’s lost several close friends to illnesses he believes are connected to chemical exposure on their ship, but VA never awarded them benefits. “I had one widow tell me that it’s cheaper to bury the blue water veterans than to give them benefits,” he said. “She thinks they’re trying to wait until all of the Vietnam veterans are gone. Little said he has had encouraging conversations with both lawmakers and VA officials in recent weeks on the issue. But he’s still waiting for a breakthrough to move the issue ahead.